We talk a lot around here about the importance of things like getting enough sleep and having a healthy diet when it comes to the time leading up to your wedding day. After all, you want to be prepared to enjoy it, however, that also happens to be the time when you’ll be planning your celebration, which can be stressful, to say the least. So, how do you balance your wellness concerns with the inevitable stress that accompanies wedding planning? Well, luckily our NY & NJ wedding videographers have been doing their thing for years now, so they’ve picked up some tricks for doing just that along the way. Read on to learn about a few. We know that sounds confusing, but what we mean is that you need to build some “unwinding time” into your schedule, in addition to the time you’ve set aside for actually planning your wedding. You’re probably thinking that it sounds silly since any time you don’t designate for planning should hypothetically be “non-planning” time, but that’s rarely the case. Because planning any wedding requires a lot of time, thought, and effort on your end, regardless of the size or style, it’s pretty easy to get so caught up in it all that you spend much of the time when you’re not actually planning thinking about planning. That can be productive, sure, but it can also be a serious threat to your overall wellness. No one’s saying that you should try to stop the flow of ideas that could ultimately help your wedding, but just that you need to step away from it all at some point. So, set aside certain time slots, even if it’s just five minutes daily, specifically not to plan nor think about planning, whether you meditate instead, do yoga, etc. Not only will it help reduce stress, but it’ll also help you to make more mindful decisions rather than acting on impulse. Most newlyweds-to-be make working out a part of their pre-wedding planning routine, and that makes sense. After all, who doesn’t want to look their best in their wedding photos and video(s)? However, while the main point may be to whip yourself into shape before your big day, you may be surprised at just how much it can help when it comes to relieving pre-wedding stress, too. There’s just nothing like sweating it out sometimes. It truly is the best way to clear your mind and reset, but it doesn’t necessarily have to be a solo venture. Think about it, sweating your stress out is one thing, but wouldn’t it be nice to have a close friend or relative along with you to talk to? That way, not only will you get the stress relief that comes with exercising, but you’ll also have someone there whom you can vent all your frustrations out to. Take it from us, when it comes to wedding planning stress, sometimes the best way to deal with it is to just let it out. Simply getting it off your shoulders can lighten the load tremendously. Yes, there is such a thing. While pizza or chocolate cake or something of that nature may be the first thing that comes to mind when you think of “comfort” food, make no mistake, there are certain snacks and dishes which fall under the category of “comfort” food that aren’t actually terrible for you. For example, if your ultimate comfort is a nice bowl of buttery mashed potatoes, then you could swap them out for cauliflower. That way, you won’t get weighed down by all those carbs, and then there are snack options like almonds, walnuts, nut butters, avocados, and citrus fruits, all of which can be a big help when it comes to stress and anxiety. 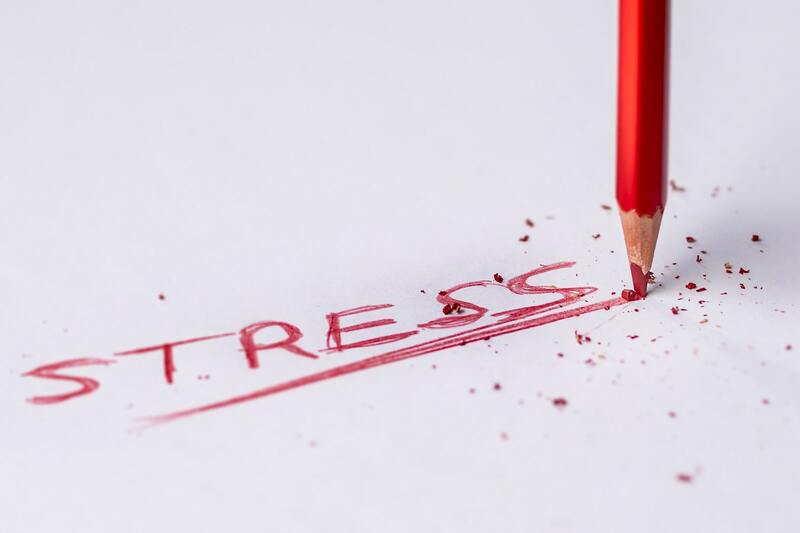 The bottom line is, while there’s nothing wrong with turning to certain foods in times of stress, you don’t want to turn to the wrong ones and end up adding stress to the equation in the long run. For some more great ideas on switching up some classic dishes so that they bring the comfort yet don’t cost you in the long run, check out this post from BuzzFeed, 27 Comfort Foods That Are Actually Good For You. We’ve been in wedding videography in NJ for long enough to know how much damage pre-wedding stress can do. Again, no matter what kind of wedding celebration you’re planning, the process is rarely an easy nor stressless one, but, at the same time, it’s also incredibly important to keep a close eye on your health and wellness leading up to your big day. If you don’t, then even if you’ve planned everything perfectly, you may be in no mood to experience and enjoy it when the day arrives. So, you need to do whatever you can on your end to manage your pre-wedding stress. We hope these tips get you pointed in the right direction. Good luck! About Us: Live Picture Studios is composed of a team of highly skilled NY & NJ wedding videographers and photographers who’ve been creating inspiring wedding videos and photos for years. At LPS, we always create to inspire, and you can check out our photo gallery and video gallery to see some examples.